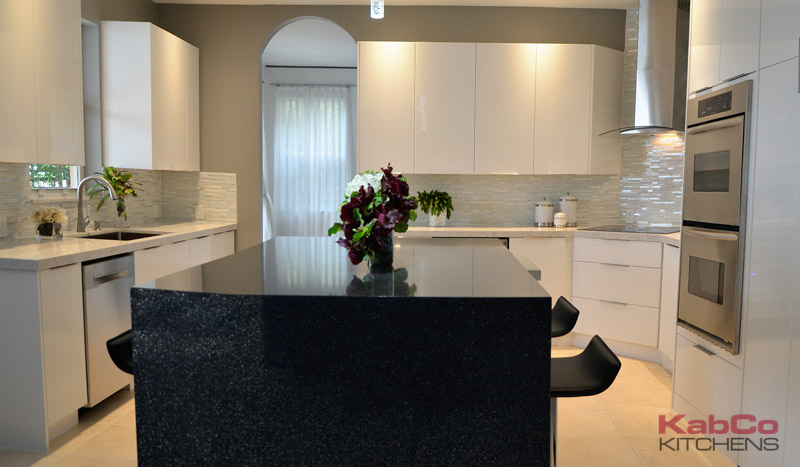 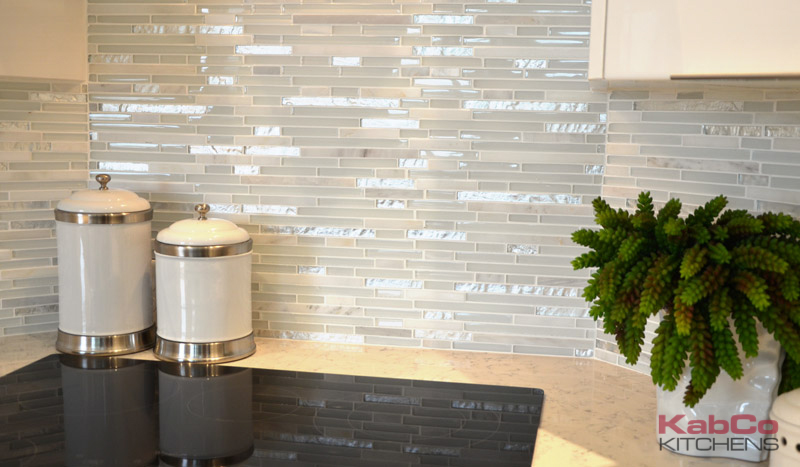 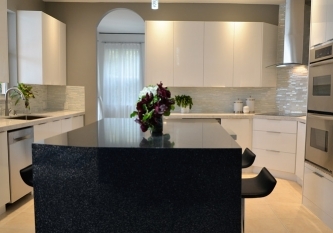 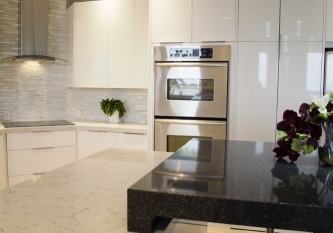 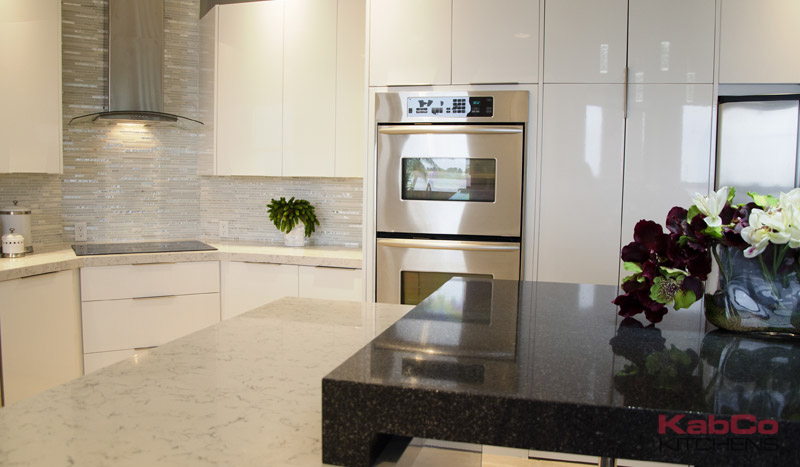 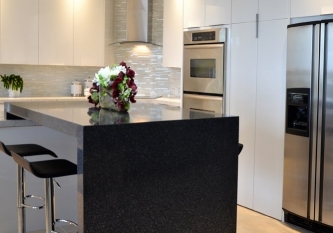 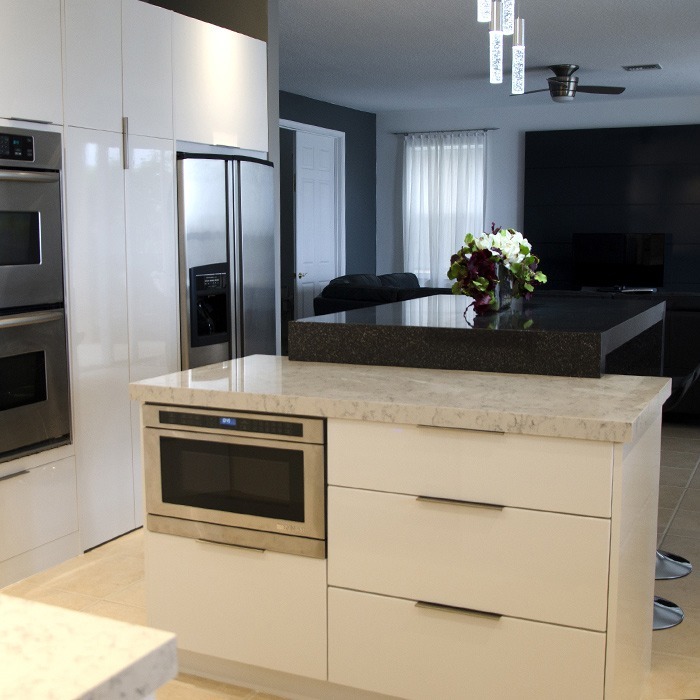 This stunning kitchen was created with cabinets by Miralis and quartz counters by Silestone. 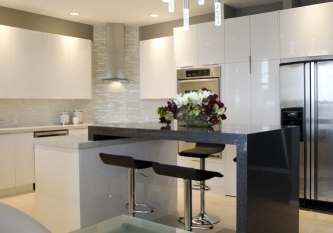 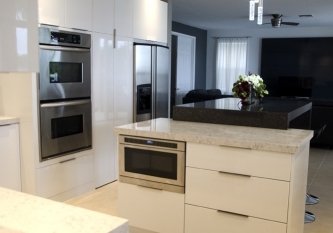 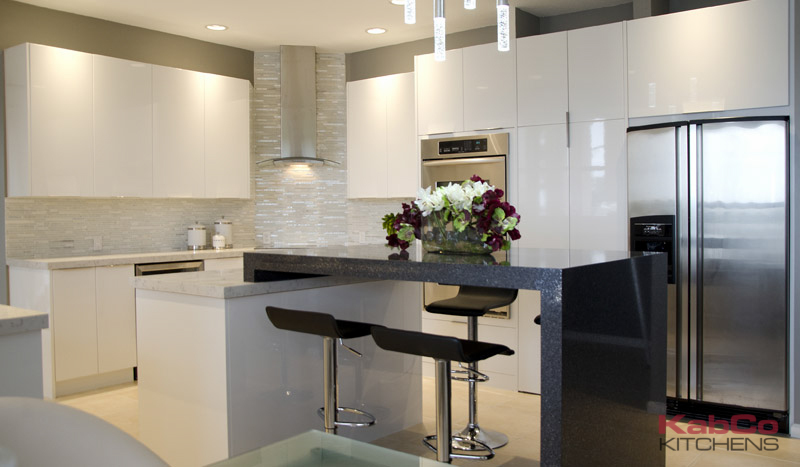 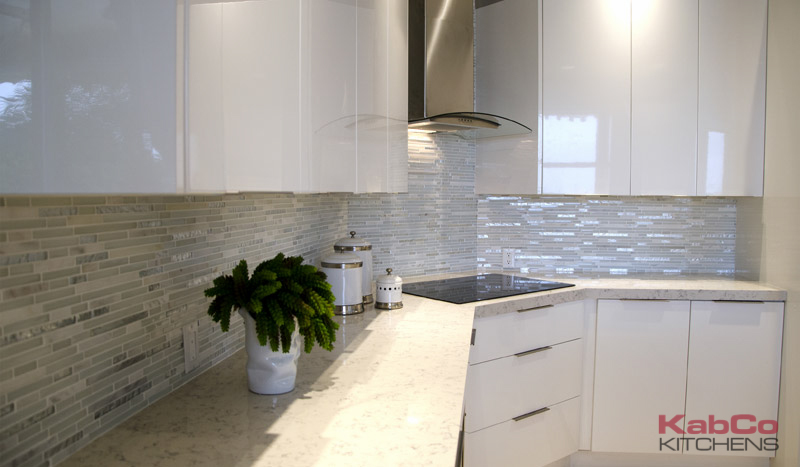 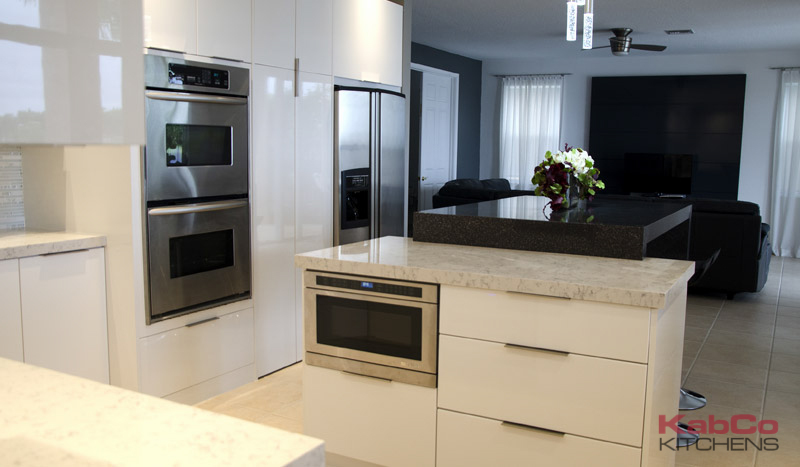 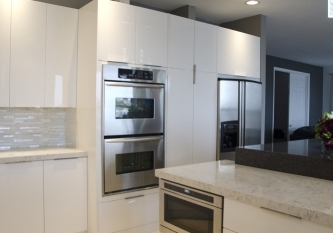 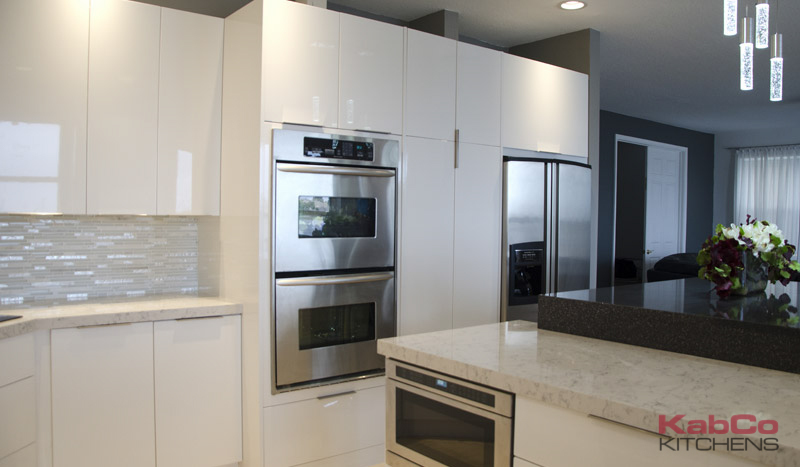 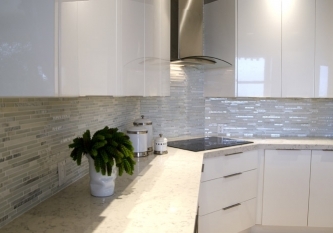 Featured here are Miralis’ sleek Polymer cabinets in high gloss White Silk. 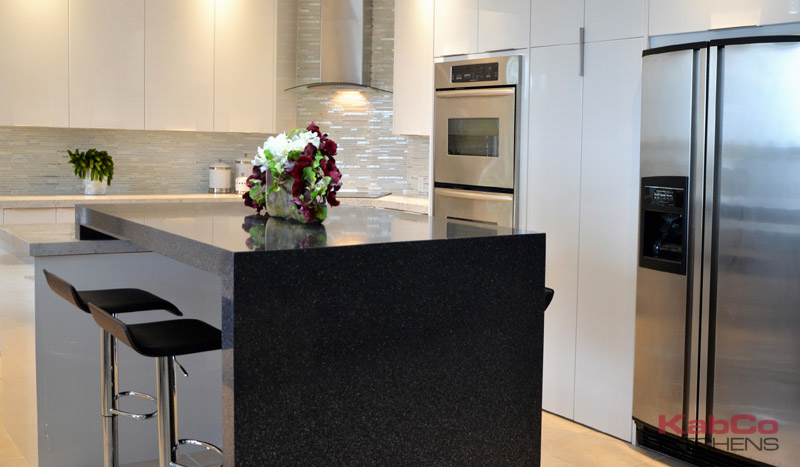 The island shows off a raised waterfall bar top in a contrasting color. 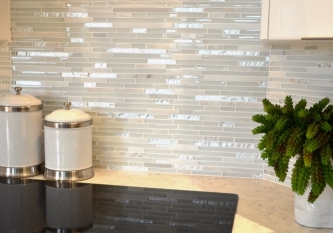 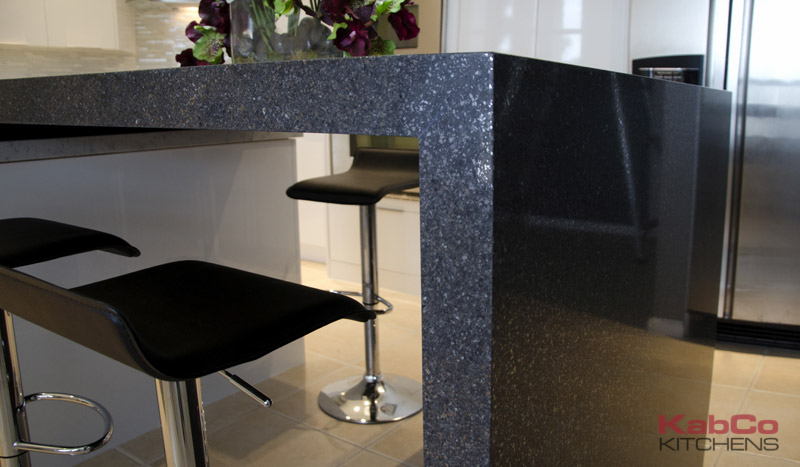 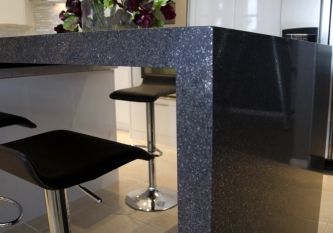 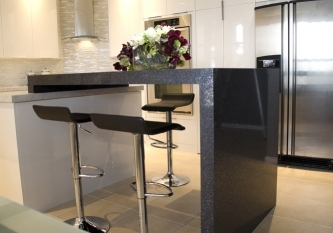 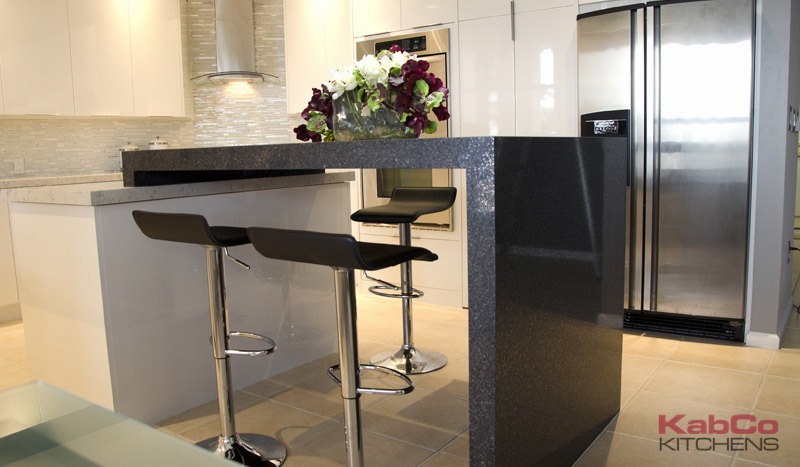 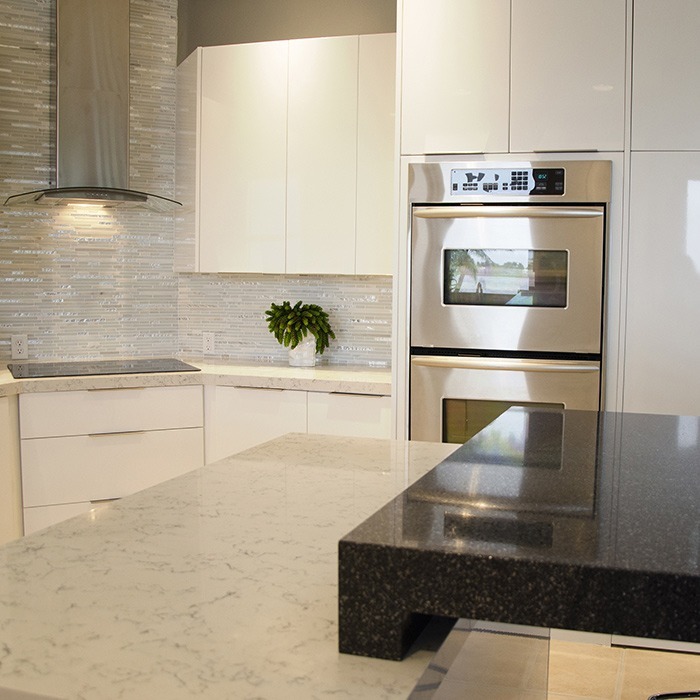 We used Lyra quartz throughout with Zirconimum quartz as an accent on the island.